Five people have been killed after a truck sped into a row of houses in China’s northwest Haiyuan county on Tuesday. CCTV footage from the scene captures the moment the truck ploughs into the row of houses, reducing them to rubble. 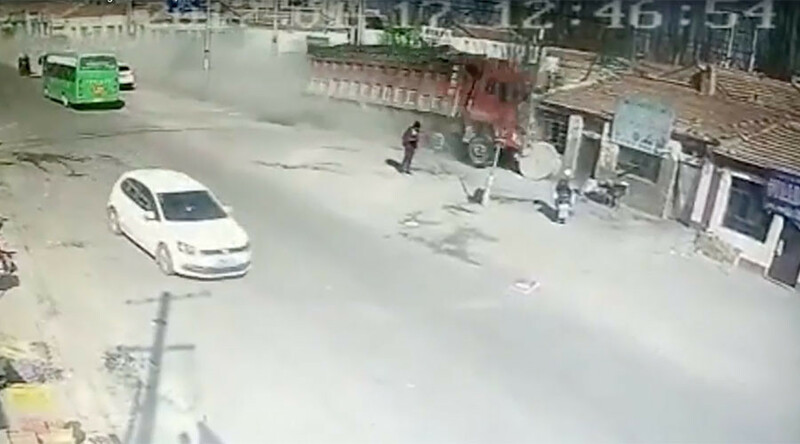 The truck is believed to have suffered brake failure, causing it to speed towards the homes in Northwest China’s Ningxia Hui Autonomous Region. The impact caused at least three homes to collapse. The driver was killed instantly, while four others died later. Additional footage filmed in the aftermath of the crash shows emergency workers sifting the rubble as a crowd of onlookers watch. A victim is carried away in a stretcher.